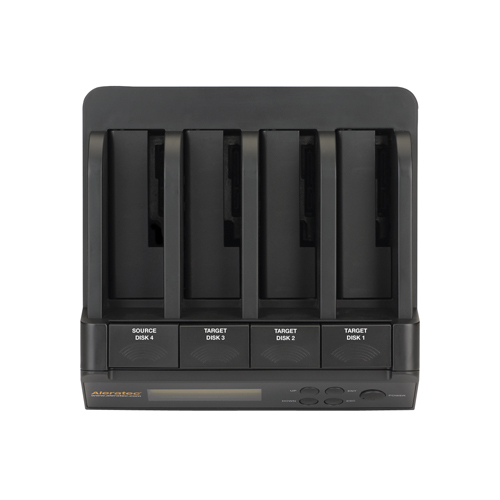 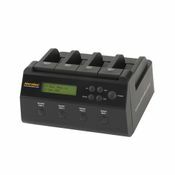 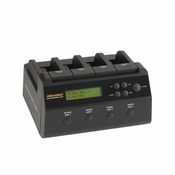 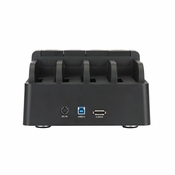 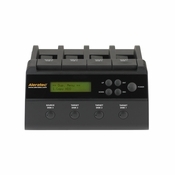 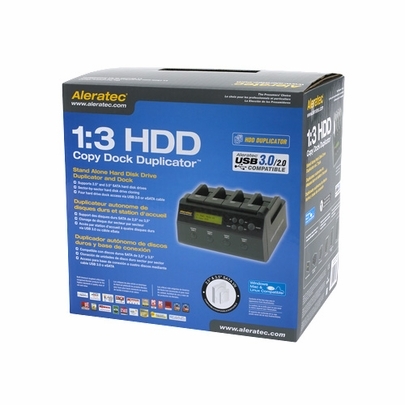 The 1:3 HDD Copy Dock Duplicator is both a powerful HDD duplicator and a versatile HDD docking station in one lightweight, portable device. This essential tool for building, upgrading and backing up computer systems requires no computer to run, eliminating the need to tie up a computer for hours running complex software to duplicate hard disk drives. Docking bays can be controlled by individual power buttons. 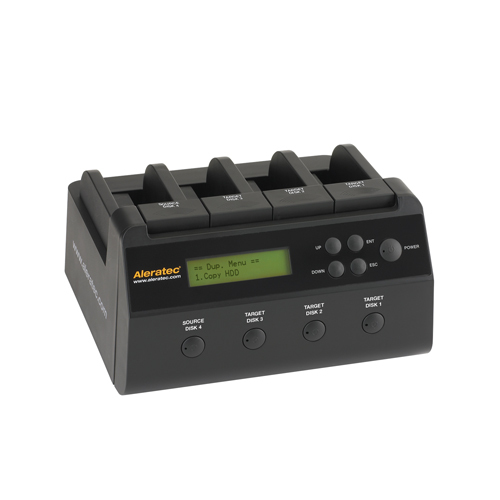 An LCD screen and easy-to-use controls make this duplicator simple to manage. 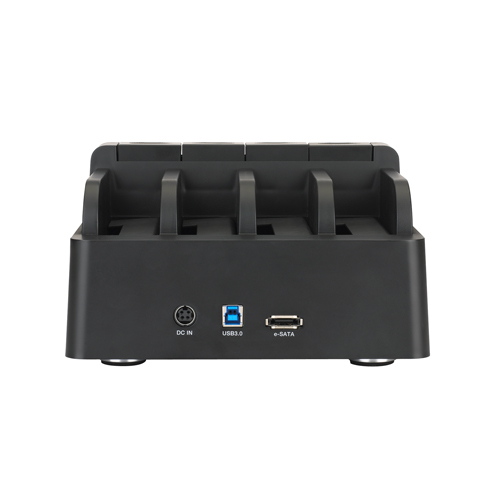 It creates fast sector-by-sector copies that include partition and boot sector information, resulting in perfect clones and backups. Connecting the 1:3 HDD Copy Dock Duplicator to a computer via USB 3.0 or eSATA gives instant access to up to four hard disk drives at a time. 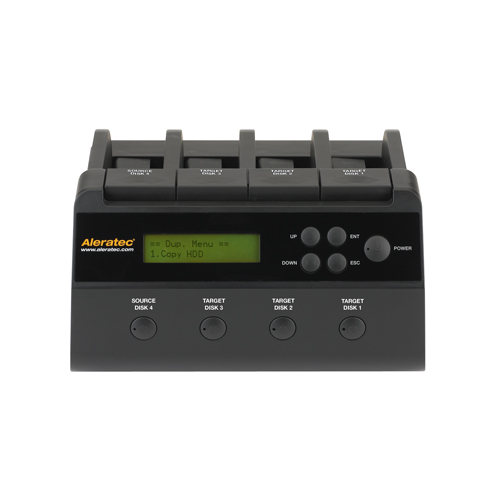 "As usual Aleratec have come up with a very easy to use and useful device...."